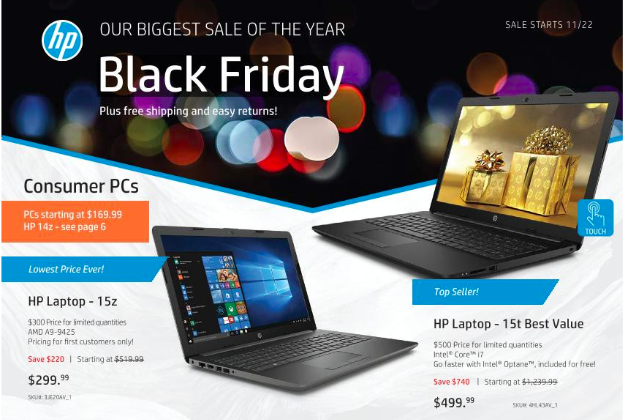 HP’s Black Friday sale will start on 11/22 and there are some awesome deals! It looks like several of the deals are for the first customers only in-store, so take a good peek at the HP Black Friday ad here. You can see the entire ad here or below.